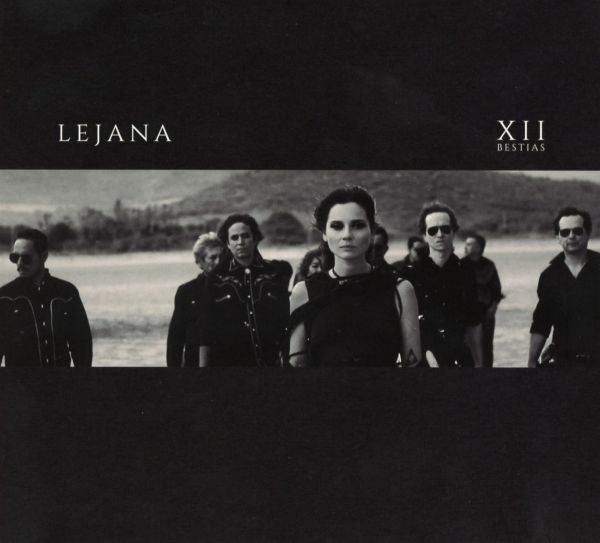 "XII Bestias" - twelve songs with a style mixed between Chelsea Wolfe and Tito And Tarantula, a fusion of New Wave and Desert Rock, against the permanently cheerful, forced self-expression and for honest commitment to one's own feelings. "I have the feeling that showing true emotions is not desired anymore. Somehow everything is more appearance than being" singer Linda Marlen Runge, who is also a German television series star, believes. In contrast, she and her three bandmates from Mexico recorded a bold, dark, but mainly extremely intense album. Between dreamy vibes and dancable power grooves there is music reflecting the magic of it's four recording locations in Guadalajara, Berlin, Los Angeles, and legendary Sonic Ranch in Tornillo, Texas, in a most powerful way. Desert and city melancholy fuse into a sound created of many shadows and emotions, making the listener feel the absoulte honesty of the band. ,XII Bestias" - twelve songs with a style mixed between Chelsea Wolfe and Tito And Tarantula, a fusion of New Wave and Desert Rock, against the permanently cheerful, forced self-expression and for honest commitment to one's own feelings. ,I have the feeling that showing true emotions is not desired anymore. Somehow everything is more appearance than being" singer Linda Marlen Runge, who is also a German television series star, believes. In contrast, she and her four bandmates from Mexico recorded a bold, dark, but mainly extremely intense album. Between dreamy vibes and dancable power grooves there is music reflecting the magic of its four recording locations in Guadalajara, Berlin, Los Angeles, and legendary Sonic Ranch in Tornillo, Texas, in a most powerful way. Desert and city melancholy fuse into a sound created of many shadows and emotions, making the listener feel the absolute honesty of the band.